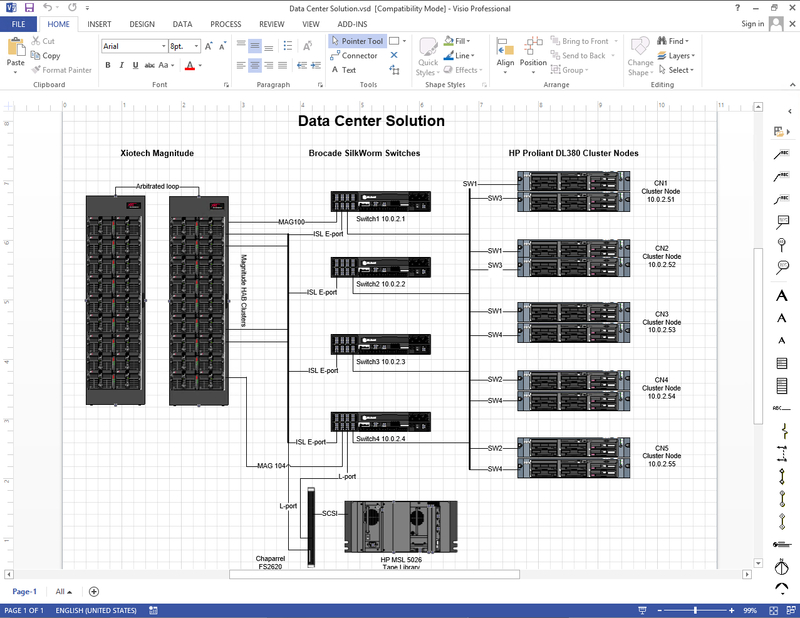 Build rack elevations and their connections to diagram your data center assets easily and efficiently. All you need to do is search for the device you need and drop it into your rack. 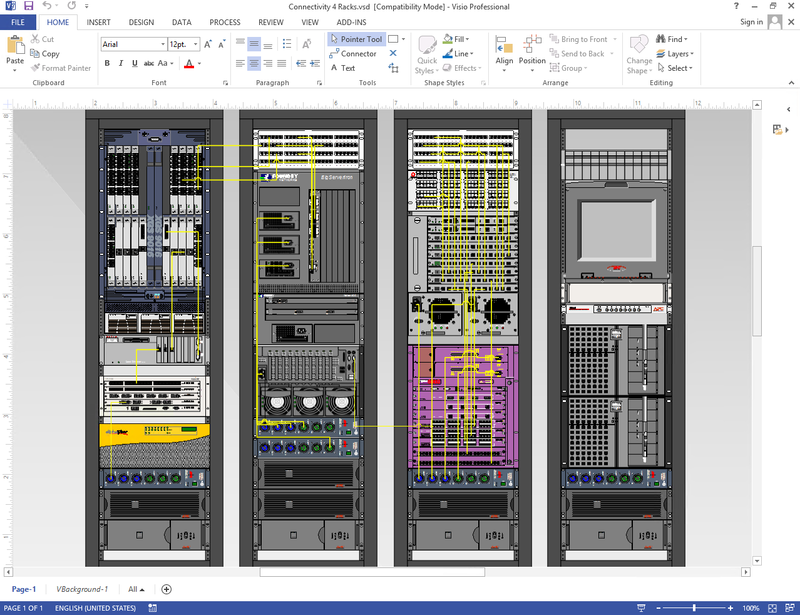 Create infinite infrastructure variations displaying data and power connections between racks, devices, modules and ports. 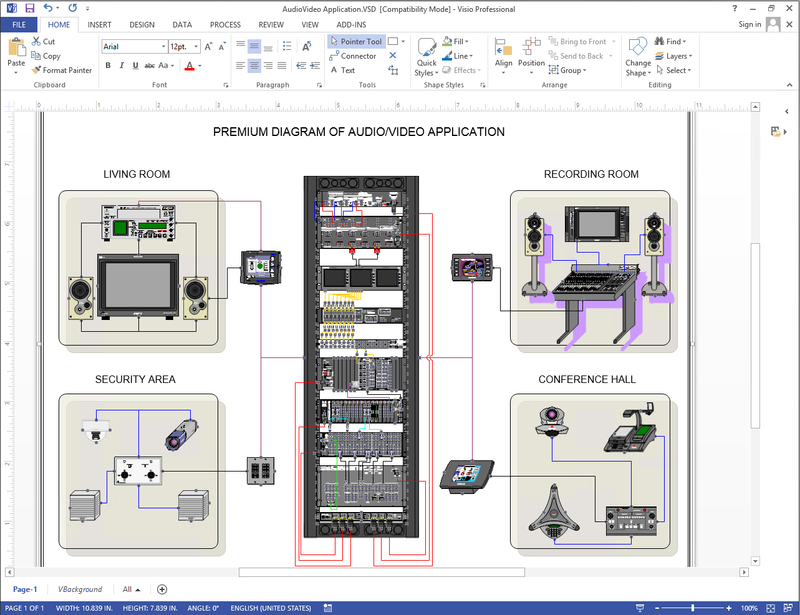 Conceptualize, visualize, plan and document your audio-video projects with Visio shapes of an unequaled look, technical accuracy and visual precision. Whether you are diagramming studio equipment, broadcast, multi-media systems or home theaters, you can rely on Visio Stencils by NetZoom. Create a map of your network topology for visualization and reporting purposes. See how your network is connected: computers, peripherals, telecom, surveillance devices and fiber and optic cabling. Draw the layout architecture using either of physical devices or logical symbols. "NetZoom’s accuracy on device shapes allow engineers such as myself to properly architect a layout during the development phase and proposal. These shapes also accurately define As-Built drawings used by follow-on personnel not familiar with configuration. Many of us have come to depend on the accuracy of your shapes. NetZoom has proven to be a valuable tool." "I am so impressed with the quantity and quality of shapes and stencils that are available. I also had a shape I needed and you quickly responded to my request with a new shape. Thank you so much!" "Their detailed stencils allow us to deliver graphic computer system diagrams that are easier for our customers to use and they even customized shapes and stencils to our specifications in a timely and effective manner. Working with them has been direct and personalized."